2019 PACKAGES ON SALE NOW! 34 Years of Food & Fun in 2019! 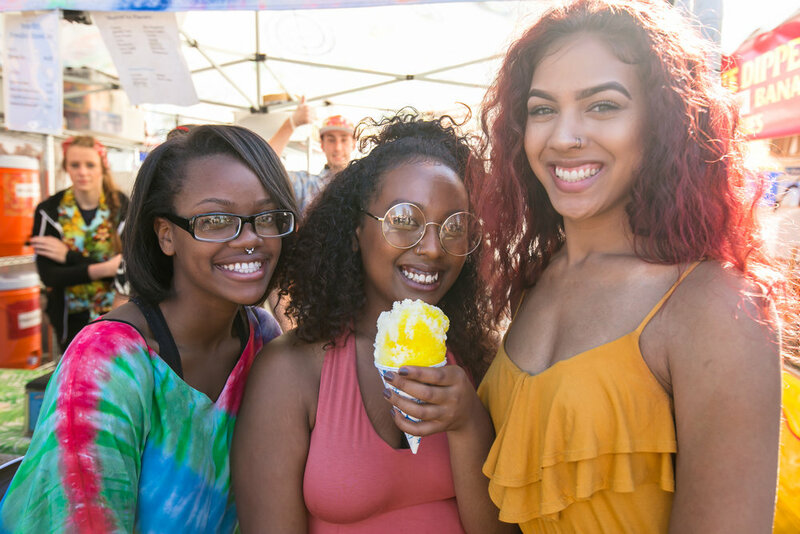 Emerald Queen Casino's Taste of Tacoma® presented by BECU is the "Ultimate Summer Get Together" featuring 40+ restaurants & vendors, craft & commercial goods vendors, 70+ live bands & entertainment, cooking demos & chef cook-off battles on The Taste Cooks! stage, Craft Beer & Wine Tasting, outdoor beer gardens, the Funtastic Carnival, sponsor activities & more! 2019 Emerald Queen Casino’s Taste of Tacoma® presented by BECU Artwork. As long as we can remember, Pacific Northwest summer nights have been destined for the four R’s: recreation, relaxation, remarkable rations and thirst-quenching refreshments! And for over 30 years, the Taste of Tacoma has been tantamount! Festivals, Inc. has long provided the perfect shindig for everyone – music-lovers, food critics, wine sippers, artists, families, and children – to kick back and enjoy a weekend filled with fun and entertainment.